That would be the minor-league ball club in Albuquerque, of course – and this week’s installment of IDs is the last in the big pile of sound from that fine city itself, as heard during our passes through the market in April and again in July 2011. But fear not – there’s more northern New Mexico coming next week right here on Toppy, and over at Tower Site of the Week, too! 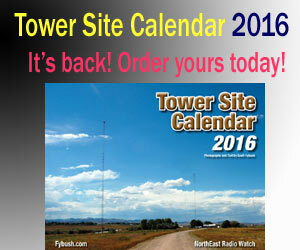 And if you still don’t have your 2013 Tower Site Calendar, complete with a lovely New Mexico mountaintop on the cover…perhaps you’d like to take advantage of our big clearance sale over at the Fybush.com store?